On the 4th day of the closed-door debates against Jose Efraín Ríos Montt and Jose Mauricio Rodríguez Sánchez, they listened to the testimonies of forensic anthropologists who carried out the exhumations in the Ixil area and confirmed the horrible crimes the army committed there against the unarmed civilian population. Ríos Montt is represented by a third party in the closed-door special proceedings; the Court does not have the power to impose a prison sentence due to Rios Montt’s physical health. In a recent public statement, GHRC and partner organizations expressed concern about the case and called for the trial against Rodríguez Sánchez to be public. Judge Miguel Angel Gálvez declassified eight plans from the military campaign which were used as strategies during the internal armed conflict between 1983 and 1990. These can now be used in in-progress investigations related to the Military Diary and cases of extra-judicial executions, forced disappearances, and massacres. Copies of these documents have been given to plaintiff groups including, FAMDEGUA and the Association for Justice and Reconciliation. Currently 79.2% of the population in Guatemala is living in poverty, while 46.6% are below the extreme poverty line. This situation principally affects indigenous and rural communities, and, according to CERIGUA, the State has not adequately addressed this issue and in fact there has even been regression on progress on these issues since the start of Morales’ presidency. Judge Miguel Angel Gálvez has suspended the scheduled hearing of the former president due to an appeal from the Attorney General’s Office, and it was not clear when the trial would resume. Both the former president and former vice-president, Roxana Baldetti resigned last year after a corruption scandal involving both came to light. Former Vice-President Baldetti arrived late to the proceedings due to health problems according to her lawyers, and the judge ordered she undergo medical examinations. Following the March 28th court appearance, former President Pérez Molina was quoted as stating “I am innocent, and everyone must respect that.” He has also blamed the U.S. Embassy for interfering in the internal affairs of Guatemala through the CICIG. A series of scandals and non-transparent actions have generated strong critique of the new Morales administration. Martin Pellecer, writing for Nomada, describes four areas in which Morales has been an obstacle to fighting impunity, including his poor management of donations of medical supplies and cozy relationship with a major Guatemalan palm oil company. Iduvina Hernández, in Plaza Pública, adds concerns about Morales´ cabinet and advisers. The new administration takes office as the US ramps up it’s new Central America Strategy under the Alliance for Pro. Acisclo Valladares Urreula, Guatemalan Presidential Commissioner for Competitiveness and Investment, stated that the funds for Alliance for Prosperity wouldn´t be arriving until October of this year. He says he plans to visit 51 communities to get their input. Valladares also mentioned the donation of US $28 million from the Millennium Challenge Corporation to improve education and increased tax efficiency. This week in the Sepur Zarco trial, survivors and expert witnesses take the stand. “In 1982 the arrival of the soldiers began and they were grabbing people to bring them to the outpost and many were never seen again. The soldiers came from Puerto Barrios,” said Agustín Chen, one of the survivors from a community close to the military base Sepur Zarco. He told of how they brought him to a cell and beat him every day. “They killed seven people, throwing two grenades into the pit where they had put them.” The anthropologist Irma Alicia Veláquez Nimatuj stated that “The military outposts were installed in the region to give security to the landowners’ farms and to take possession of the lands.” For the women in the communities, “racism and sexual violence had come hand in hand in the subduing and controlling of indigenous populations.” she explained. The Ministry for Environment and Natural Resources (MARN) recently admitted having no knowledge or control over private companies´s diversion of public tributaries of the rivers Madre Vieja and Achiguate in Escuintla. Ernesto Moscoso, Director of Watersheds and MARN’s Strategic Programs for the Department of Hydraulic Resources, stated in response to being questioned: “We do not have information regarding the diverted rivers, because there is no monitoring at this moment.” Dialogue has initiated between government offices and the companies, Hame Agroindustries and the sugar refineries Madre Tierra, El Pilar, Magdalena, Palo Blanco, Santa Ana, San Diego, Pantaleón and Bananera. Community members have noted that water no longer reaches communities downriver and with it, the fish and wildlife are disappearing. The Congressional Committee on Agriculture is set to analyze Bill 4084, the rural development law, a proposal that has been on the table for years. The spirit of the law is to benefit impoverished and excluded communities, but the Minister for Agriculture says the law would conflict with international treaties. Protesters demonstrating against a rise in water and garbage collection costs blocked off major highway between Guatemala City and Villa Nueva. The police used tear gas and petrol bombs to break up the protest after dialogue failed. Several civilians were also injured in violent confrontations with the police officers. On October 23, 2015, the Inter-American Commission on Human Rights will hold a Thematic Hearing on Examining Freedom of Expression in Honduras, El Salvador, and Guatemala during its 156th Session in Washington DC. Organized by Asociación Mundial de Radios Comunitarias (AMARC-Subregión Centroamérica), Asociación de Medios Comunitarios de Honduras (AMCH), Asociación de Radios Comunitarias de Guatemala (ARCG), Asociación Sobrevivencia Cultural, Central American Institute for the Study of Social Democracy (DEMOS), Comité por la Libre Expresión (C Libre), Cultural Survival, Fundación de la Comunicación para el Desarrollo (Comunicándonos), Junta Ciudadana por el Derecho Humano a la Comunicación and Mujb’ab’l yol: Encuentro de Expresiones, the session seeks to shine a spotlight on the daily rights violations that Indigenous journalists and communities face when exercising the universal right to freedom of expression and communication. These basic rights make up the foundation of a well functioning democracy, yet communities in Central America share a common experience, history and reality that citizens’ freedom of expression and the right to communication are not evenly respected and guaranteed. Indigenous journalists and community radio operators, despite physical threats, state persecution, and even risk of death, continue to exercise their rights in order to serve their communities. Guatemala’s Constitutional Court declared on February 6 that former military dictator Efraín Ríos Montt could be prosecuted for the “Dos Erres” massacre. Nearly 300 people were murdered in 1982 in the village of Dos Erres by the Guatemalan military’s special forces, the Kaibile, under the de facto administration of Ríos Montt. GHRC is excited to announce that Miriam Pixtún Monroy will be visiting the US this November, as part of our Fall 2014 Speaker’s Tour, to share her experiences and those of other Mayan and Mestizo communities in Guatemala. Miriam will speak with audiences in Chicago, Illinois, Milwaukee, Wisconsin and Reno, Silver City and Las Vegas, Nevada. 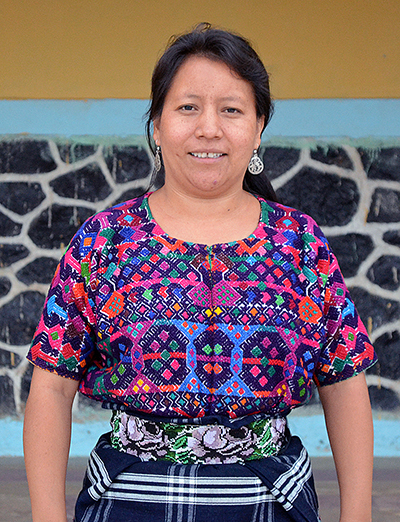 Miriam is a resident of Nacahuil, a Maya Kaqchikel community located about one hour from Guatemala City. In September of 2013, Nacahuil suffered a horrific attack. Unknown gunman sprayed bullets across the town’s main street, then viciously hunted people down; 11 people were killed and 15 more were injured, including two young girls. Nacahuil is one of many Guatemalan communities active in resisting the encroachment of mines, dams, and other mega-development projects onto its territory. Some residents believe that the attack was an attempt to break the community’s resistance to these projects; various witnesses also allege that the police were involved. Miriam will speak about the roots and goals of community resistance to mega development projects and describe the Guatemalan government’s overwhelming lack of respect for indigenous rights. GHRC’s Kathryn Johnson will accompany Miriam, providing interpretation and background information. Times and locations will be on our website as they become available. We hope you can join us, or pass this information along to your networks in Illinois, Wisconsin, and Nevada.